Through July 30 – “Beauty and the Beast, Jr.” at the Village Square Theater. The kids have been working all summer on this event, so come out and support their efforts and enjoy an amazing show! For more information call (803) 359-1436 or visit http://www.villagesquaretheatre.com/season.html. Through July 30 – “The Jungle Book Kids” at the On Stage Performance Center on East Main Street in Lexington. This is guaranteed to be a fun performance showcasing all the hard work the kids did this summer to present this show. For more information call (803) 351-6751 or visit http://www.onstagesc.com/Shows.html. Through August 6 – “Willy Wonka” at the Town Theatre. It’s been a fun summer with a lot of practice and the kids are now ready to show you what they’ve learned with this tremendous show! For more information call (803) 779-2510 or visit http://towntheatre.com/willywonka/. Through August 18 – Day Camps at Riverbanks Zoo and Gardens. There are a variety of camps for kids ages 3 through 13 with a variety of topics to choose from. For more information call (803) 779-8717 or visit http://www.riverbanks.org/education/day-camps.shtml. Through August 18 – Summer Camp at the EdVenture Children’s Museum. These camps are for ages 4 through 12 and will focus on topics that may include cooking, space exploration, and even robots. For more information call (803) 779-3100 or visit http://www.edventure.org/programs/camps/summer-camp-2017/. Through August 25 – Purple Martin Tours of Bomb Island meeting at Jakes Landing on Lake Murray. If you’ve never had the chance to be on one of these tours, you certainly need to take the opportunity with this resident wildlife specialist! For more information call (803) 359-9091 or visit http://www.lexingtonsc.org/community-event/guided-purple-martin-tours-of-bomb-island-all-summer-long. Through August 26 – “Xanthus Smith and Civil War Maritime Art” at the South Carolina Confederate Relic Room and Military Museum. This amazing artists has earned a national reputation as one of the foremost military painters of the 19th Century with a focus on life in battle and at camp during the Civil War in South Carolina. For more information call (803) 737-8095 or visit https://crr.sc.gov/exhibits?i=95. Through August 27 – “Light Beings” at the Columbia Museum of Art. The artist, Sana Arjumand, is a contemporary artist who presents to you a mystical and spiritual display of works through the use of birds to depict a metaphorical symbol of energy beings. For more information call (803) 799-2810 or visit https://www.columbiamuseum.org/exhibitions/light-beings. Through August 27 – “Retooled” at the Columbia Museum of Arts. Local individuals are taking their tools and seeing what they can create with them. For more information call (803) 799-2810 or visit https://www.columbiamuseum.org/exhibitions/retooled. Second Thursdays through August – Elmwood Cemetery Tours at Elmwood Cemetery. These tours will teach you about the meaning of the etchings on the grave markers, as well as discuss the prominent South Carolinians who are buried here. For more information call (803) 252-1770 ext. 23 or visit http://www.historiccolumbia.org/events/moonlight-cemetery-tours. Through August 31 – “Ron Rash Archive Exhibit: More than a Southern Author” at the Columbia Museum of Art. For more information call (803) 545-0000 or visit http://www.columbiacvb.com/events/. Through September 17 – “That 70’s Show: Cool Art from the Collection” at the Columbia Museum of Art. This show “draws on the amusing nostalgia for the “decade that time forgot.” For more information call (803) 799-2810 or visit https://www.columbiamuseum.org/exhibitions/70s-show. Through October – Blooming Butterflies at the EdVenture Children’s Museum. Children and their parents will learn about the different phases a butterfly goes through before becoming a butterfly, and will have the chance to see some of the butterflies’ first hand! For more information call (803) 799-3100 or visit http://www.edventure.org/exhibits/seasonal/. July 26 – Columbia’s Got Talent at the Comedy House. This event will be two shows in one, with the show beginning with kid’s ages 3 to 12 followed by teens and adults from ages 13 and up, so enter the show or come out and support those who do! For more information call (803) 798-9898 or visit https://comedyhouse.us/columbias-got-talent/. July 26 – “The Land Before Time” at the Nickelodeon Theater. This fun children’s movie about an orphaned dinosaur will capture the hearts of their parents as well. For more information call (803) 254-8234 or visit http://nickelodeon.org/films/the-land-before-time/. July 27 – Hip Hop Karaoke at the Comedy House. If you think you’ve got what it takes to win at this event, come on out and see if you can win the $100. For more information call (803) 798-9898 or visit https://comedyhouse.us/wild-out-hip-hop-karaoke/. July 27 – Night Hike at Saluda Shoals Park. Take a ranger lead night hike through the park, learning about local history, park facts, and details about the environment. For more information call (803) 731-5208 or visit http://www.icrc.net/night-hike-at-saluda-shoals-park-2017-07-27. July 27 – “The Hitcher” at the Nickelodeon Theater. This is the story of a man who escapes from the hands of a hitch hiker who stalks him and frames him for his murders. For more information call (803) 254-8234 or visit http://nickelodeon.org/films/the-hitcher/. July 28 – End of Summer Pool Bash at the Greenview Pool. This Prime Time in the Park end of the season late night teen event for teens ages 13 to 17. For more information call (803) 545-3100 or visit http://www.columbiasc.gov/calendar/2563. July 28 – Friday Night Laser Lights at the South Carolina State Museum. Each show is to a different rock group, with the 8:00 show being to the Beatles, the 9:00 show being to Aerosmith, and the 10:00 show being to Pink Floyd. For more information call (803) 898-4921 or visit http://scmuseum.org/events/friday-night-laser-lights/. July 28 – “Fantastic Beasts & Where to Find Them” at Finlay Park. Enjoy a family night out with a movie in the park and enjoy the chance to participate in a Quidditch game before the show. For more information visit http://www.columbiasc.gov/parks-recreation/programs-activities/special-events#Summer Movies Series. July 28 – 29 – South Congaree Championship Rodeo at the South Congaree Horse Arena in South Congaree. This fun annual event will again include bull riding, barrel racing, and calf roping, with a chance for spectators to ride a mechanical bull, kids to ride ponies, and much more! For more information call (803) 513-5750 or visit http://www.southcongareerodeo.com/. July 28 – 30 – “Tony Roberts” at the Comedy House. Head out for a night of comedy to brighten your spirit! For more information call (803) 798-9898 or visit https://comedyhouse.us/tony-roberts/. July 28 – August 3 – “The Little Hours” at the Nickelodeon Theater. A young servant fleeing from his master finds herself at a convent filled with emotionally unstable nuns, who believe he is deaf and blind, in the Middle Ages. For more information call (803) 254-8234 or visit http://nickelodeon.org/films/the-little-hours/. July 28 – August 6 – “Madagascar – A Musical Adventure” at the Harbison Theatre. The Junior Company of the Chapin Theatre is putting on this amazing and fun event, so be sure to come out and support them. For more information call (803) 240-8544 or visit http://chapintheatre.org/2017/junior.html. July 29 – Float and Freeze at the West Columbia Riverwalk. The Palmetto Outdoor Center will be offering 30% a tubing excursion including shuttling with online reservations and Pelican SnowCones will be on hand to help cool you off! For more information visit https://www.facebook.com/events/258457021306214/. July 29 – Introduction to Woodburning at the Columbia Museum of Art. If you’ve ever wanted to learn the art of woodburning, here is your chance to get the basics. For more information call (803) 799-2810 or visit https://www.columbiamuseum.org/events/intro-woodburning. July 29 – Canal History Tour at the Riverfront Park South at the Red Schoolhouse. Take a guided tour along the Canal and learn the role it played in Columbia’s growth over the last 200 years. For more information call (803) 545-3100 or visit http://www.columbiasc.gov/calendar/2560. July 29 – “The Voltage Brothers” at Finlay Park. Enjoy an evening of fun and entertainment is this beautiful setting under the stars! For more information visit http://www.columbiasc.gov/parks-recreation/programs-activities/special-events. July 29 – Kids and Kites at Saluda Shoals Park. Here is a chance for your child to learn to fly a kite using your own or one loaned by the park. For more information call (803) 731-5208 or visit http://www.icrc.net/kids-and-kites-2017-07-29. July 29 – “Stop Making Sense” at the Nickelodeon Theater. This is the concert movie about “The Talking Heads” with music performed by “The Ugly Chords”. For more information call (803) 254-8234 or visit http://nickelodeon.org/series/sound-vision/. July 29 – Midlands Women’s Fair at the Jamil Shrine Temple. Here’s a chance for Mom to enjoy a day with the girls who will all enjoy facials, make overs, airbrush tattoos, massages, canvas painting, a fashion show and a whole lot of fun! For more information visit https://www.eventbrite.com/e/midlands-womens-fair-tickets-33763706154. July 29 – Tom Hoskins Memorial Sprint Triathlon at 1501 Kennerly Road Irmo. Triathlon participants will swim 350 yards, bike 13 miles and run 3.1 miles while duathlon participants will run 1 mile, bike 13 miles and run another 3.1 miles. For more information send an email to iliaowens@columbiaymna.org or visit https://runsignup.com/Race/SC/Irmo/TomHoskinsTri. July 29 – Wild Summer Nights Auction and Wild Game Feast at Seawells Catering on Rosewood Drive. Here’s a chance to enjoy fresh wild game prepared in a variety of ways, as well as bid on fabulous auction items, such as fishing equipment, wildlife excursions, beautiful artwork, and so much more all to benefit the South Carolina Wildlife Federation! For more information call (803) 256-0670 or visit http://www.scwf.org/events/2016/12/24/wild-summers-night-auction-wild-game-feast. July 29 – 30 – Suvival Expo at the South Carolina State Fairgrounds. This event is for the entire family with a variety of vendors and workshops such as moving to off-grid living and overcoming disaster, with a special workshop at an extra fee on medical preparedness teaching how to do sutures and staples offered by a doctor and a nurse with a limited number of participants. For more information visit https://www.rkpreppershows.com/event/columbia-south-carolina/. July 30 – “The O’Jays” with special guest “Stephanie Mills” at the Township Auditorium. Enjoy an evening of great entertainment with this two amazing artists! For more information call (803) 576-2350 or visit http://www.thetownship.org/events/. July 30 – 31 – “Stand By Me” at the Nickelodeon Theater. This is the tale of four 12 year old boys who set off into the woods to find a body. For more information call (803) 254-8234 or visit http://nickelodeon.org/films/stand-by-me/. 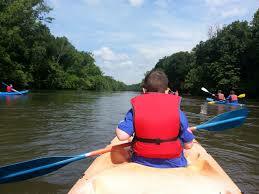 July 31 – August 4 – Outdoor Adventure Camp at the Columbia Parks and Recreation Department. This camps is for kids’ ages 8 through 12 giving them a chance to learn about a variety of adventurous activities such as hiking, rafting, challenge courses and more! For more information call (803) 545-3100 or visit http://www.columbiasc.gov/parks-recreation/programs-activities/outdoor. August 2 – Artists for Africa: Performance Art Event at Washington Place. Professional ballet dancer, Cooper Rust, from Columbia has moved to Kenya to introduce the arts to destitute children so come out and see some amazing dancers, including Ms. Rust, with all proceeds to benefit her project in Africa. For more information call (803) 727-5314 or visit https://www.artistsforafricausa.org/coming-up. August 4 – Countdown to Kindergarten at the EdVenture children’s Museum. Parents and their rising kindergartener can come out to celebrate the beginning of school with parents having the chance to speak with school district representatives, community organizations, and state agencies regarding resources, while the children practice school skills in preparation of their first day. For more information call (803) 799-3100 or visit http://edventure.org/events/countdown-to-kindergarten/?for=08-04-2017. August 4 – “Exterminator 2” at the Nickelodeon Theater. John Eastland returns to rid New York of a drug lord and his gang. For more information call (803) 254-8234 or visit http://nickelodeon.org/films/exterminator-2/. August 4 – Brew at the Zoo at the Riverbanks Zoo and Gardens. Enjoy an evening at the zoo with live entertainment, over 100 brews to sample, one-of-a-kind animal encounters and presentations, and a whole lot of fun! For more information call (803) 779-8717 or visit http://www.riverbanks.org/events/brew-at-the-zoo.shtml. August 4 – “Terrance Young Jazz Experience” at the Icehouse Amphitheater. Known as one of the greatest guitar players in the world, you won’t want to miss this amazing artist in concert! For more information call (803) 358-7275 or visit http://www.icehouseamphitheater.com/events/. August 4 – 10 – “An Inconvenient Sequel: Truth to Power” at the Nickelodeon Theater. The sequel to “An Inconvenient Truth” “stipulates that the world is on the cusp of an energy revolution.” For more information call (803) 254-8234 or visit http://nickelodeon.org/films/an-inconvenient-sequel-truth-to-power/. August 4 – 12 – “Black Super Hero Magic Mama” at the Trustus Theater. Winner of the 2016 Playwrights Festival, this story of a single mother who lost her 14 year old son to a white police officer has chosen to live in her own mind as a super hero crime fighter in one of her sons created comic books. For more information call (803) 254-9732 or visit http://trustus.org/event/playwrights-festival/. August 5 – Marvel Day with Spider Man and Captain America at the EdVenture Children’s Museum. The kids voted last November on Election Day as to which Marvel character they wanted to come to the Museum, and these two tied, so bring the kids out to meet these amazing characters who they asked to see! For more information call (803) 799-3100 or visit http://edventure.org/events/marvel-day-with-spider-man-captain-america/?for=08-05-2017. August 5 – SCE&G Solar Science Saturday at the South Carolina State Museum. To celebrate the coming Solar Eclipse, come out and experience hovercraft rides, rocket launching, discovering the solar spectrum, learning how an eclipse happens, and more! For more information call (803) 898-4921 or visit http://scmuseum.org/eclipse/solar-science-saturdays/. August 5 – Monthly Gospel Singing at the Midlands Gospel Singing Center in Gilbert. Come out and hear “Cordsmen Quartet” and “Lumber River.” For more information call (803) 719-1289 or visit https://www.midgsc.com/. August 5 – Logan’s Hero’s Golf Tournament at the Hidden Valley Golf Club in Gaston. This event is to raise money and awareness for Duchenne Muscular Dystrophy. For more information call (803) 917-8891 or visit https://www.eventbrite.com/e/6th-annual-golf-tournament-tickets-34319816495. August 5 – Sweet Baby O 5K at Saluda Shoals Park. Run or walk this event to benefit Hands of Hope. For more information call (803) 528-0740 or visit https://www.facebook.com/events/290404841347512/. August 5 – Tasty Tomato Festival at City Roots. Come out and enjoy a day filled with good food, great music, and a variety of refreshments, with a focus on heirloom tomatoes! For more information call (803) 470-4302 or visit http://tastytomatofestival.com/festival/. August 5 – 6 – Gun and Knife Show at the Jamil Temple. If you’re a collector or just someone looking for something for hunting season, come out and see what’s new at this year’s show. For more information visit https://www.scgunshows.com/columbia-sc.html. August 6 – Five After Five at Five Points. This is the last concert of the summer, so come out and enjoy live music, food and beverage vendors, arts and crafts, and activities for the kids. For more information call (803) 748-7373 or visit http://fivepointscolumbia.com/events/Five-After-Five. August 7 – August 11 – Outdoor Adventure Camp at the Columbia Parks and Recreation Department. Kids ages 13 to 16 will learn about adventurous outdoor activities such as hiking, kayaking, challenge courses, and more. For more information call (803) 545-3100 or visit http://www.columbiasc.gov/parks-recreation/programs-activities/outdoor. August 9 – “Aquarius” at the Nickelodeon Theater. The last resident of the building refuses to sell her apartment to a construction company that plans to replace it. For more information call (803) 254-8234 or visit http://nickelodeon.org/films/aquarius/. August 10 – Moonlight Cemetery and Secrets from the Grave Tours at the Elmwood Cemetery. Come out and learn the history of the markings on the gravestones in the first tour and the history of some of the Columbia locals that have been buried in the cemetery over the last 160 years in the later. For more information call (803) 252-1770 ext. 23 or visit http://www.historiccolumbia.org/events/moonlight-cemetery-tours?date=04/13/2017. August 11 – Twilight in the Garden: “A Bug’s Life” at the Riverbanks Zoo and Gardens. Bring the whole family out for fun evening at the zoo starting with fun in the Splash Zone until dark, then lay out a blanket on the grass for this fun and entertaining movie! For more information call (803) 779-8717 or visit http://www.riverbanks.org/events/twilight-in-the-garden.shtml. August 11 -13 – Forrest Wood Cup at Dreher Island State Park on Lake Murray. 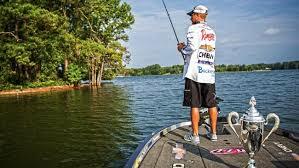 Weigh-ins will be at the Colonial Life Arena with a free concerts each day and a convention all three days at the Columbia Metropolitan Convention Center with games, seminars by fishing professionals, activities for the kids and adults, and over 100 vendors with outdoor supplies. For more information call (803) 545-0034 or visit https://www.flwfishing.com/tournaments/2017-08-11-forrest-wood-cup. August 12 – SCE&G Solar Science Saturday at the South Carolina State Museum. Spend a day at the museum in honor of the coming Solar Eclipse learning about the eclipse, experiencing a hovercraft, having an angular momentum experience, learning how telescopes work with Galileo scopes and more! For more information call (803) 898-4921 or visit http://scmuseum.org/eclipse/solar-science-saturdays/. August 12 – South Carolina Fatherhood and Male Achievement Conference at the Richland School District 2 Innovation Center. With over 40% of children in South Carolina being raised without fathers, this conference is for men and boys both t o empower them to be better men and fathers. For more information call (860) 997-6802 or visit https://www.eventbrite.com/e/2017-sc-fatherhood-and-male-achievement-conference-tickets-32852162703. August 12 – Summer Concert Series: “S.O.S. Band” at Finlay Park. This is the last concert of the summer, so come out and enjoy this variety band and enjoy one last night of live entertainment under the stars! For more information call (803) 545-3100 or visit http://www.columbiasc.gov/calendar/2547. August 12 – Summer Drive-In Movie Series : “Rogue One: A Star Wars Story” at the Historic Columbia Speedway in Cayce. This will surely be a fun and exciting event with a fantastic movie in the great outdoors! For more information call (803) 354-5720 or visit http://www.columbiacvb.com/includes/calendar-of-events/Summer-Drive-In-Series-Rogue-One—A-Star-Wars-Story/51911/. August 15 – OUT Here Series: “The Watermelon Woman” at the Nickelodeon Theatre. This is a film about a young Black woman making a video of a about her search for a young Black actress who made films in the 1930s who was known as Watermelon Woman. For more information call (803) 254-8234 or visit http://nickelodeon.org/films/20th-anniversary-the-watermelon-woman/. August 15 – “Tony Hinchcliffe” with “Jeremiah Watkins” & “John Gibson” at the Music Farm. If you haven’t seen this great comedian, you don’t want to miss this show! For more information visit http://www.musicfarm.com/event/1488396-tony-hinchcliffe-columbia/.